Recognizing the importance of data management in improving Fundraising income and retention of supporters, MSF Holland, asked Single Click Solutions to help with the recruitment of a new Data Manager. Following an intensive recruitment process, Anton Hendriks was appointed and is now managing the data strategy of the organisation. We develop unique, low cost and highly sophisticated software for the volume data management sector. Our aim is to help the sector maximize its ROI and achieve and maintain the highest standards of efficiency. British Heart Foundation get real-time database link from Single Click Solutions as the main vehicle in their Fundraising Strategy. Reports are an indispensable part of working of any organization. Different levels of management need different types of reports for decision making. Various report generation softwares are available that can generate simple to complicated all types of reports. But for the organizations having multiple databases, the report generator must have capability to generate reports from data at multiple sources. At www.singleclicksolutions.co.uk, we offer System Integration Server, Central Information Management System that has an in-built multi-source report generator facility as one of its features. System Integration Server also offers data centralization feature that helps organizations to have all the data at a central location with ease of accessibility and availability. You can preserve all the features of existing applications by using our System Integration Server software. It provides multi-source report generator, mail merge and email broadcast facility. It provides you single combined view for analysis. It does not interrupt your business operations. 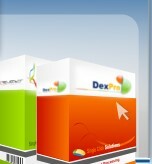 DEXPRO : Fully configurable application that allows users to combine data from multiple databases. MMM : Features include multi-server database replication and multi-source data replication. DE-DUPLICATOR : Single source de-duplication and two-source comparison wizards. HERE TO HELP : Contact Customer Services customerservices@singleclicksolutions.net , open livechat or use callmeback to ask us to call you back.